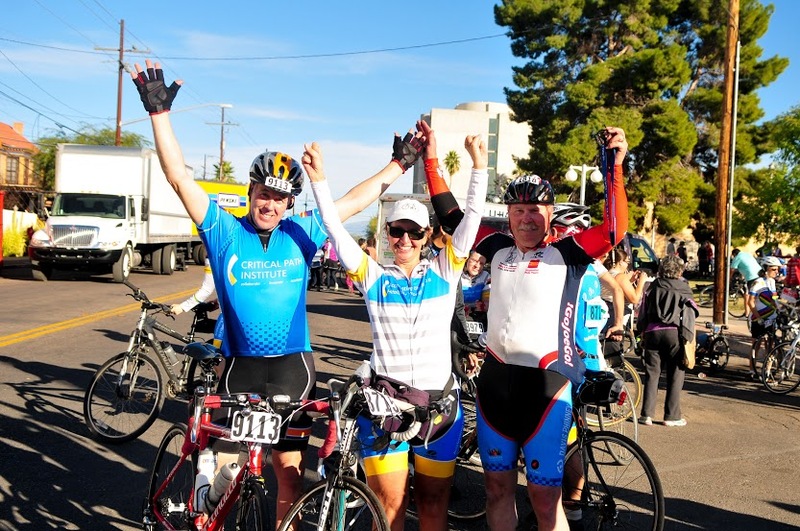 Carl Ames, Diane Stephenson and Joe Williams at the 2014 El Tour de Tucson ride. 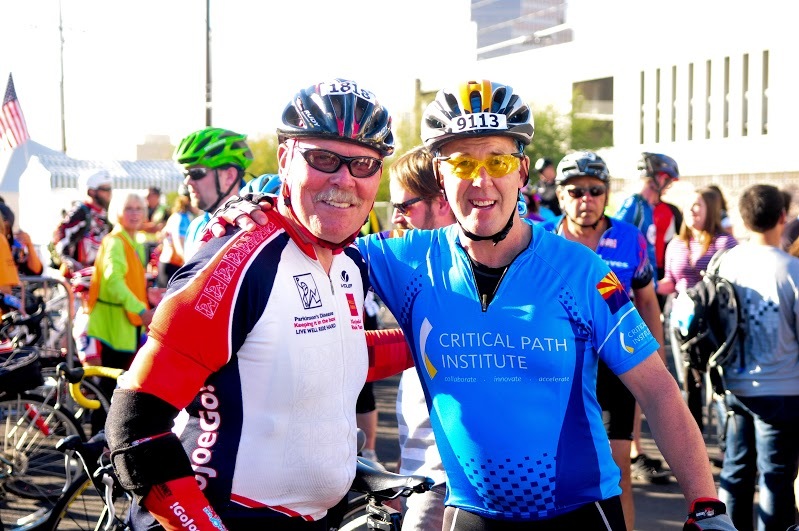 Joe, like Carl, is an avid cyclist and does not let PD slow him down in cycling events, this one very simple compared to most other cycling adventures they embark on. Joe is also a talented poet while Carl loves baking cakes.